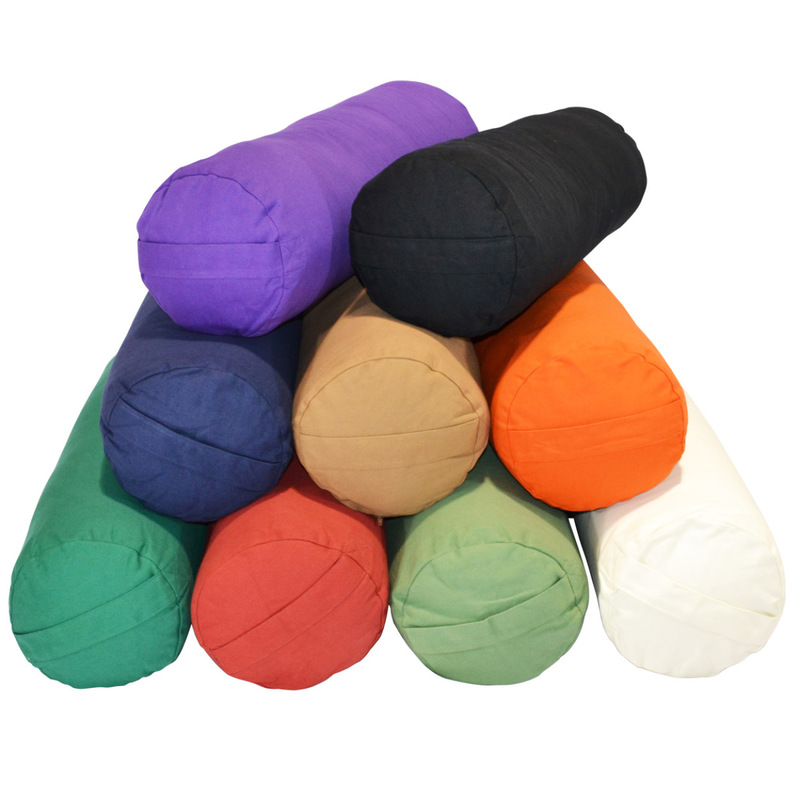 Our supportive round yoga bolsters provide perfect support for many yoga postures. You will find that they are firm to provide full support, yet soft enough to be quite comfortable. The bolsters weigh in over 6 pounds. 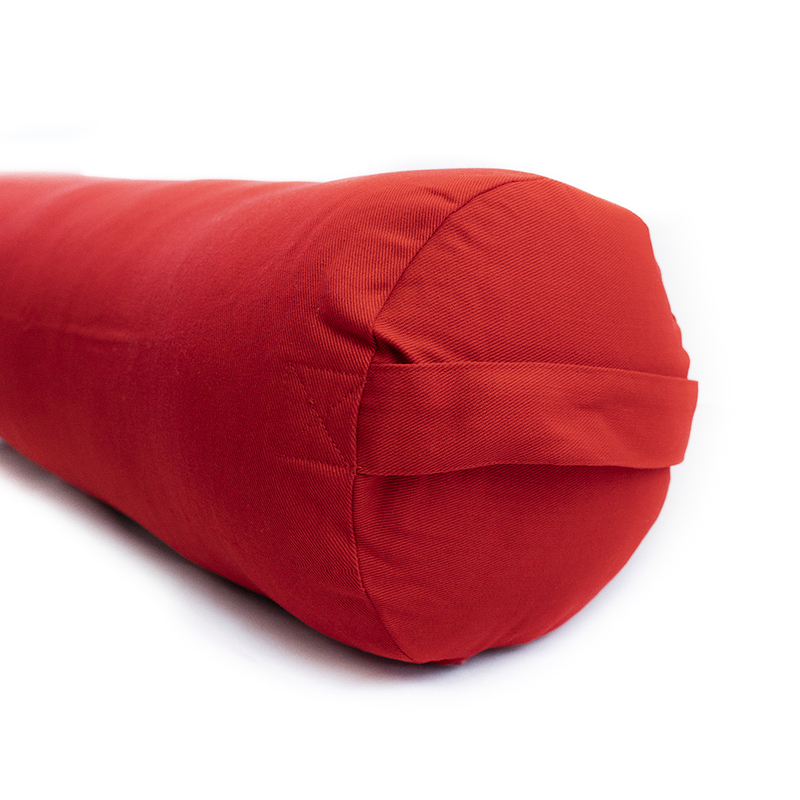 The bolsters are round, and are 28'' long with a 10'' diameter. Available in more colors than anyone else on the web. Please note that the measurements are for one seam to another, because of fluffy nature of cotton, you will find the bolsters little bigger in size but this will settle down with use. 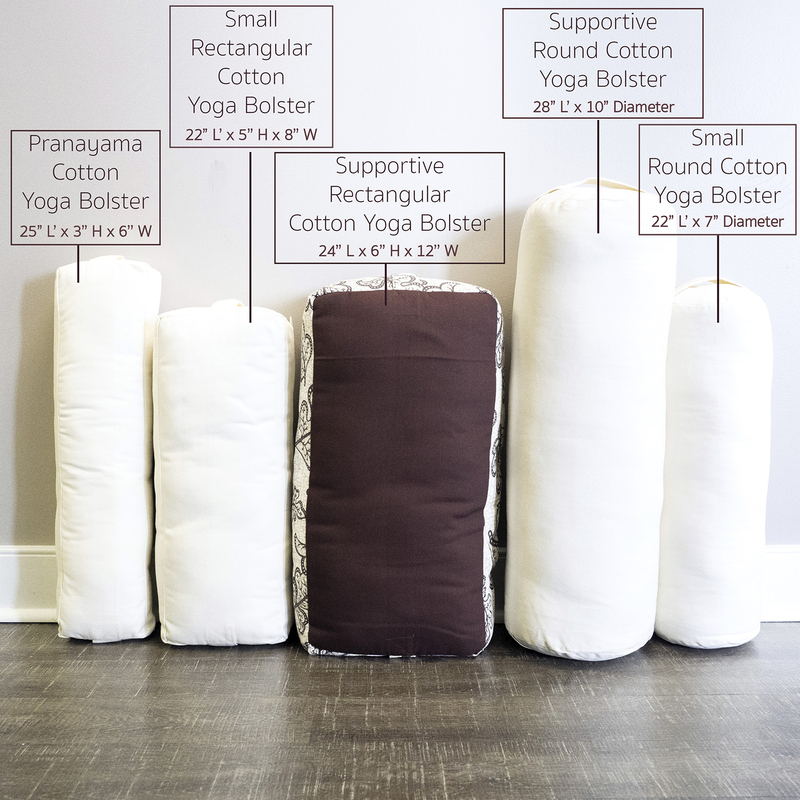 These are EXACTLY the bolsters I've been in search of to teach restorative yoga. Long, firm, but also giving and supportive! 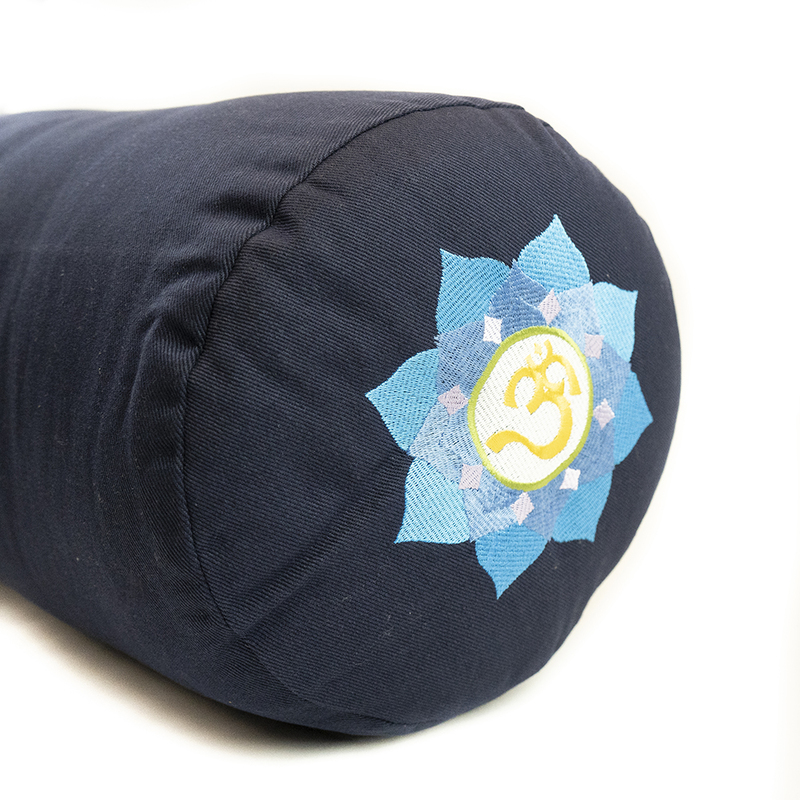 The bolsters are just the right firmness and they are big enough to give you a good stretch. I love the embroidery at the end. It is really beautiful.